In celebration of our 20th Anniversary and as a tribute to the thousands of guests that have flown with us over the past 2 decades, we are entering all preseason reservations into our Opening Day Raffle. On May 12, we will randomly draw 2 reservations. 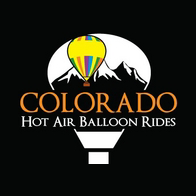 The winners will receive their 2017 hot air ballooning experience with us for Free! $199 Preseason Sale Price is valid for any date during our 2017 flight season that runs from May 13th – October 8th. You must enter the promo code EB7828 during the reservation process to receive the $76 off per person discount.